By Charlotte Stephens, Research Correspondent, ME Association. “We report metabolite and temperature abnormalities in ME/CFS patients in widely distributed regions. Our findings may indicate that ME/CFS involves neuroinflammation” Younger et al. 2019. 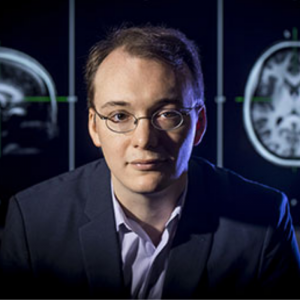 Last week, Dr Jarred Younger and his team – from the University of Alabama, Birmingham, with researchers from the University of Miami, Florida – published results from a long-awaited brain study in ME/CFS. What they found supports previous theories of the involvement of brain inflammation in ME/CFS. In this summary review, we hope to explain the results, what they might mean and the next steps towards treatment development. You might like to listen/watch Dr Younger explain this study in a video he did for Solve ME/CFS Initiative (SMCI) in December 2018. Using a specialised scanning technique, they measured the levels of 4 metabolites, as well as temperature, inside the brains of 15 ME/CFS patients and 15 controls. Raised levels of certain metabolites, as well as increased temperature inside the brains of the ME/CFS patients indicate brain inflammation. Youngers next step is to repeat this study in a larger group of patients (around 100) to confirm these findings, as well as explore possible treatment options. Dr Younger and his team’s hypothesis is that ME/CFS represents a state of chronic, low-level neuroinflammation (inflammation of the brain). Younger believes that immune cells (called microglia) in the brain have become abnormally activated and are releasing chemicals (inflammatory cytokines) that result in symptoms such as fatigue, cognitive disruption, pain and exertional intolerance. Also, he thinks these activated microglia are now hyper-sensitive and overly responsive to even mild triggers, such as exercise, which cause them to react by releasing chemicals. His aim is to develop a tool for detecting this neuroinflammation, which can then be used to measure drug effectiveness on targeting inflammation. We make our Research Summaries available for free. Click to read online or download. Encephalitis if not encephalomyelitis after all? How do the results correlate with 2 day CPET, cytokine profiles, in vitro mito tests, blood cell shape, De Meilier’s HS test, Perrin’s back examination etc. We’ve got to get different tests done on the same patients.